DR has today launched Dansk Melodi Grand Prix 2018, announcing a change in the focus of the competition and new rules for submissions. The song submission period for Dansk Melodi Grand Prix 2018 has now opened, however the submissions period will never formally close. Songs can now be submitted year round to be considered for the competition, however only songs submitted before September 15th, 2017 will be considered for the 2018 selection process. Mads Enggaard has also been announced in the new role of Contributions Producer. Mr Enggaard will be focused on the whole process of the competition, specifically working more closely with DR’s television producers and choreographer. He has served as the Viewing Room Producer at the Eurovision Song Contest for the past four year, a role which sees him communicate between the delegations and host broadcaster as to how they want their song to be performed and seen on screen. Mr Enggaard will be putting a focus on ensuring that all song submissions aren’t just focused on the music and lyrics, but also the way that the song will be staged. In addition all submissions must strive to be recorded in a music studio before being submitted. DR will still accept submissions that have not been professionally recorded, however, Mr Enggaard says that getting the song professionally recorded shows thought has been put into the song. You can read the full rules of Dansk Melodi Grand Prix 2018 – here. DR has not announced the dates for the final of Dansk Melodi Grand Prix 2018 or the host city. However, Aalborg has secured funding to attempt to host the competition again next year. 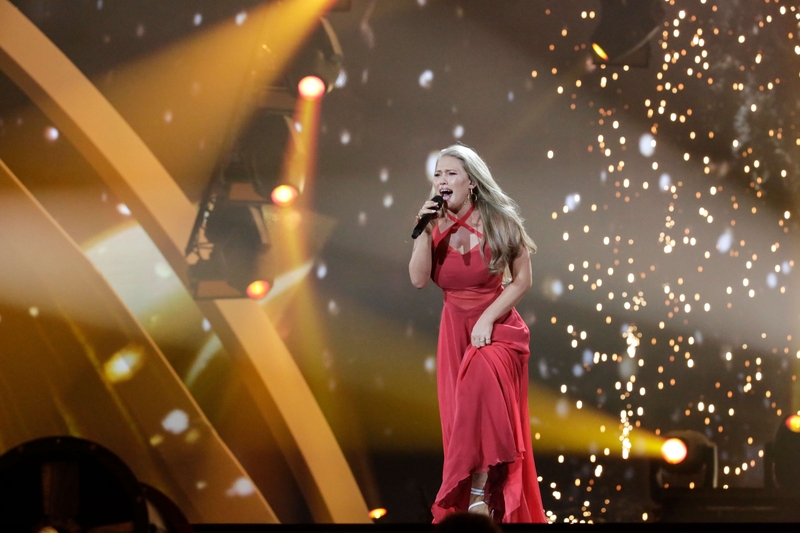 Anja Nissen represented Denmark at this years Eurovision Song Contest in Kyiv, Ukraine. She brought Denmark back to their first Eurovision Song Contest final since hosting the contest in 2014. “Where I Am” narrowly qualified for the final beating Serbia by just three points in the second semi-final. In the final Denmark finished 20th with a total of 77 points, of which just 8 points came from the televote. The Head of Entertainment at DR had been aiming for a top five result in Ukraine. Hungary, Eurovision Choir of the Year, Eurovision Choir of the Year 2017Hungary: Béla Bartók Male Choir To Perform "Karádi nóták"